Heat oven to 350°F. In each of 2 ungreased 9-inch round cake pans, press 12 cookie dough pieces to form a base. Bake 10 to 12 minutes or until bases are golden brown. Cool completely, about 25 minutes. Remove cooled bases from pans to cutting board. Spread half container of frosting over each base. 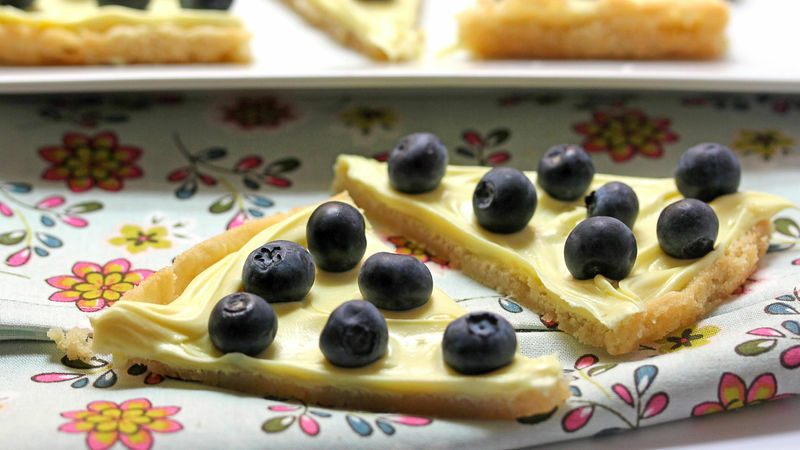 Arrange blueberries in decorative pattern over frosting on each base. Cut into wedges to serve. Mix up the frosting and fruit toppings to have two different cookie pizzas with no additional work! Have the kids help spread the frosting and arrange the berries.